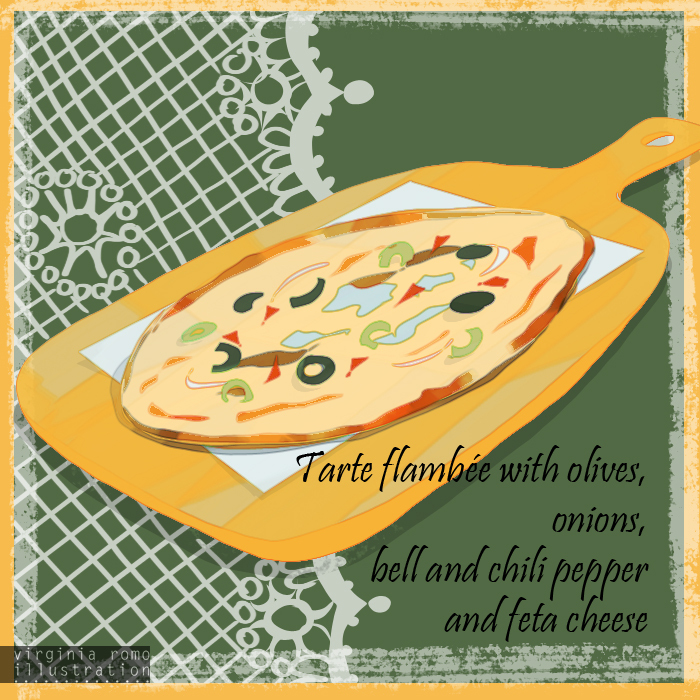 The tarte flambée is a typical Alsatian dish that is quite common in the South of Germany too. The classical recipe has crème fraiche, onions and bacon. But not mine today. It was a vegetarian version with a gratin of olives and pepper (normal and chili) and feta cheese. It was delicious and it was at Martha's again. Yes we had a new meeting at the bank and, once more, we met at Martha's one of the bank employees (our former agent). It seems those bank people like to eat hearty but healthy.